Republican legislative leaders are asking Michigan's attorney general to issue an opinion on the state's authority to close persistently low-performing public schools in Detroit as soon as the end of this academic year. The letter released Friday was written by Senate Majority Leader Arlan Meekhof and House Speaker Kevin Cotter. They want Republican Attorney General Bill Schuette to weigh in because Republican Gov. Rick Snyder interprets a law rescuing the Detroit district from debt to mean the State School Reform/Redesign Officer cannot close any district school until 2019. 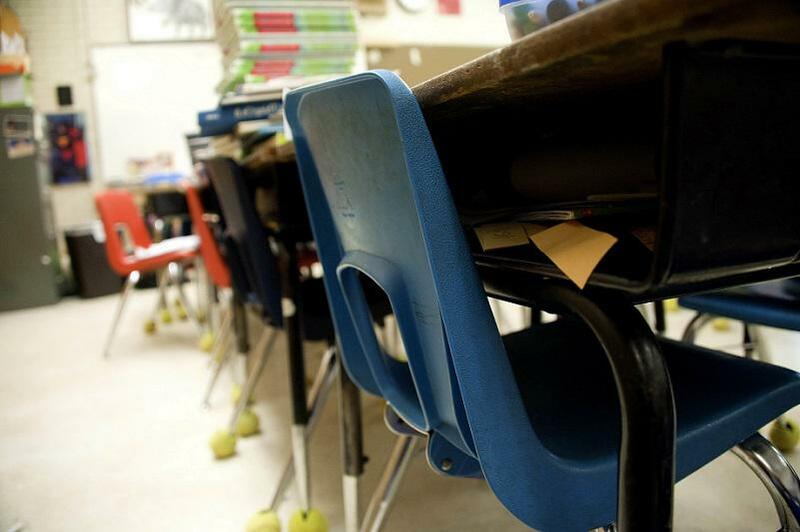 The top lawmakers say the law's "plain language" authorizes Detroit school closures by the end of this school year and to say otherwise ignores legislative intent. Attorney general opinions are legally binding on state agencies and officers unless reversed by a court. Michigan voters will continue to have the option of using one mark on the ballot to support a political party’s entire slate of candidates in November. The U.S. Supreme Court has denied Michigan Attorney General Bill Schuette’s request to reverse two lower courts and allow a ban on straight-ticket voting to take effect. Mark Brewer is one the attorneys who challenged Michigan’s ban on straight-ticket voting. He called it a victory for voters. A top Republican lawmaker says he's considering "all options" to challenge Gov. Rick Snyder's determination that no low-performing Detroit public schools can be closed by the state for three years. Senate Majority Leader Arlan Meekhof said Tuesday one option is asking Attorney General Bill Schuette for a legal opinion. Snyder's office said last week he interprets the law creating a new, debt-free Detroit school district this summer to mean the State School Reform Office can't close any district school until 2019. Many of the schools on Michigan's newest bottom 5 percent list are in Detroit and will not be closed by the state until 2019 at the earliest because of how the laws enacting a financial bailout of the district were written. Gov. Rick Snyder's administration on Thursday made public the lowest-performing schools across the state. Fifty-eight of the 116 open schools are in Detroit's district or will be folded back into the district when a state-created turnaround entity dissolves next year. The state Department of Treasury say it will pay more than $300,000 in legal fees to sue two Detroit Public Schools teachers for what the district alleges was their roles in instigating massive teacher sickouts. The Detroit News reports Treasury Department spokesman Jeremy Sampson said in an email that the agency understands the school district's financial situation and has been assisting the district in many areas.